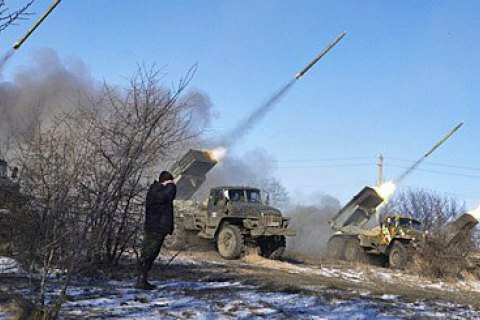 Militants use Grads and heavy artillery. The Russia-backed separatists shelled on Monday ыруддув the positions of Ukrainian troops in the area of the village of Vodyane with Grads, 152-mm and 122-mm artillery, and 120- and 82-mm mortars. "According to preliminary information, one Ukrainian serviceman was killed, and eight were wounded," the ATO headquarters reported on Monday afternoon. Five Ukrainian servicemen were reported wounded in Donbas on Sunday.